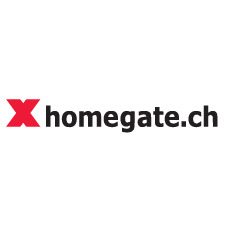 homegate.ch is Switzerland’s leading digital real estate marketplace. With more than 9 million visits and over 184 million page views each month, as well as more than 85,000 properties currently on offer (Net-Metrix Audit 08/2017), Homegate AG is one of the leading Swiss digital companies. For us, entering nearshoring cooperation was not only about extending our in-house software development capacities but also about gaining access to additional know-how, new ideas and fresh initiatives. Positioned as the Swiss number one real estate marketplace, Homegate was increasingly looking for new ways of how to help individuals find the right property. The commonly known, traditional way of searching properties was to be challenged as it did not reflect the capabilities of new technology developments like artificial intelligence and virtual reality. As gaining access to new knowledge – about machine learning and data engineering in particular – was recognised as a key success factor, Homegate joined engineering forces with InterVenture and tapped the necessary talent pool this way. After my previous positions at software companies with pretty hierarchical project management structures, it is a real refreshment to be working in an environment with short feedback cycles, open communication channels and high visibility of personal achievements.